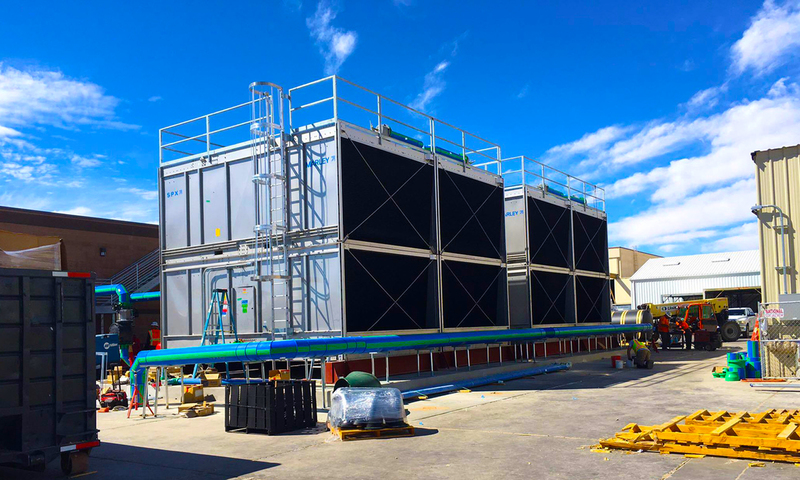 Repairs and Maintenance – Energy Options, Inc.
Energy Options is your single source solution for cooling tower parts, and repairs and maintenance services. We would like to help you reduce your overall repair and maintenance costs. One of the most important things you can do is arrange for a detailed on site inspection to identify potential problems before they cause money wasting breakdowns and force your operation into an unexpected down period. A less dramatic, but no less important, result of inspections is the identification of all of the small things, the overlooked factors, that combine to rob your system of overall efficiency. A second strategy to reduce costs and extend the life of your cooling equipment is to schedule a thorough cleaning. Over time, mineral deposits and sediment can gather in your pipes. This reduces the amount of fluid that can move through your system and robs it of efficiency. This also makes your system less efficient by thickening the walls of your cooling pipes with calcified deposits that insulate against the heat exchange. Thermal upgrades can help your system run better. Adding a cooling tower sand filter like a PEP media filter, for example, will decrease the amount of impurities in the water supply and slow the mineral deposit formation in the future. Sand filter is just one of the thermal upgrades that can restore the performance of your system to like new. It is an efficient yet cost effective filtering solution. Allow Energy Options to show you the difference it could make for you and introduce you to other system upgrades, like retrofitting your system with a variable frequency drive (VFD) controller. 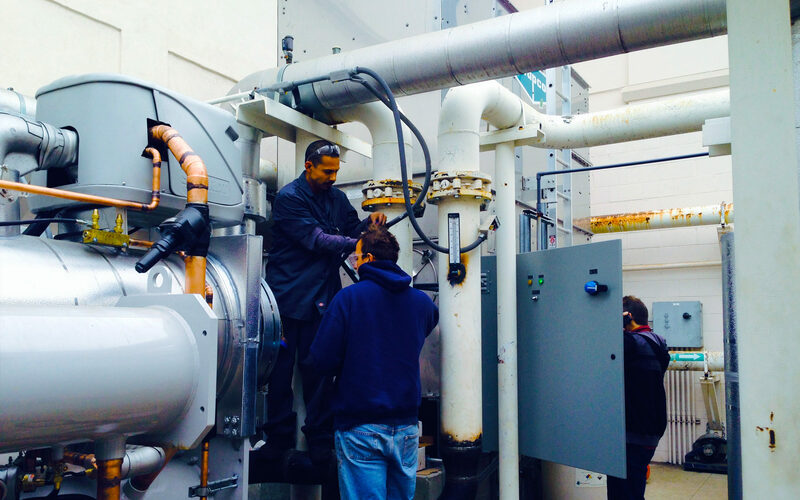 Although we are your best source for cooling tower repairs, we really sincerely would prefer to help you maintain your system and avoid costly emergency repairs in the future. Contact us today to set up your cooling tower maintenance call or inspection.